Frida Kahlo, Niña con collar, 1929. Image courtesy of Sotheby’s. For six decades, the whereabouts of Frida Kahlo’s 1929 painting Niña Con Collar remained unknown. The only evidence that oil-on-canvas portrait had even existed was a black-and-white photograph taken by Lola Álvarez Bravo in the artist’s catalogue raisonné from 1988. Now, the work has resurfaced at Sotheby’s and is slated to go to auction next week as part of the house’s Latin America: Modern Art sale, with an estimate of $1.5–2 million. But the story of how the work arrived at the auction house is about more than its expected price tag. Niña Con Collar has remained with a single owner, one of the artist’s former assistants, since 1955, the year after Kahlo’s death at the age of 47. 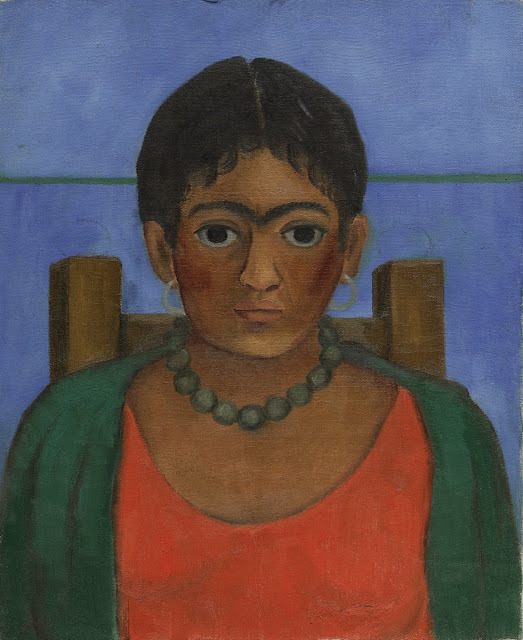 As a token of gratitude, Kahlo’s husband Diego Rivera gifted the painting to this assistant, who had worked closely alongside the artist at her Mexico City studio. Read the whole fascinating article by Isaac Kaplan here.